25 available yachts at this destination! 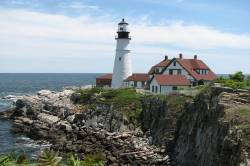 Discover a beautiful blend of history, culture, and robust natural beauty on a luxury charter vacation in New England. Located in the heart of America, New England is a top summer yachting destination, known for having a unique charm all its own. Perfect for those seeking a casually elegant experience, the picturesque coastal towns are filled with adorable boutiques, art galleries, antique shops, and phenomenal seafood restaurants. The rocky coves, sandy dune beaches, and warm and sunny weather throughout the summer create an absolutely idyllic setting for cruising New England’s remarkable coastline. 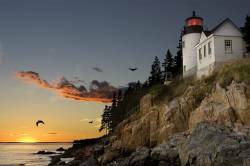 Five out of the six New England states are situated on the Atlantic coast and boast quaint small villages and unique islands. There is absolutely no doubt that you will fall head over heels in love with Portland, Boston, Cape Cod and Providence during your luxury charter vacation. Портленд - это не только столица штата Мэн, но и самый большой город «Соснового штата». Во время путешествия на яхте Вы откроете для себя морские и городские пейзажи и насладитесь великолепной обстановкой города. Расположенный на южном побережье, мегаполис штата Мэн видится динамичным и ярким. Команда на борту с радостью предоставит Вам всю необходимую информацию о примечательных местах, куда стоит заглянуть (рестораны, кафе, музеи и т.д.). Although Providence used to be a bastion of crime in the past, it became a bustling city with a rich nightlife thanks to its many bars, restaurants and clubs. With new parks and attractions rapidly emerging in the city, Providence is the most visited city in Rhode Island. 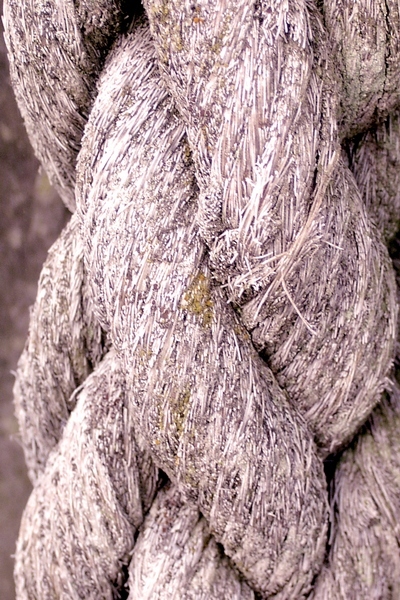 Make Newport your next stop as it is home to New England’s premium luxury yachting. Legendary American summer festivals such as the Folk Festival in Newport and the Providence’s Jazz Festival are yet another reason not to miss this astounding region. And at the end of the day as you leave the crowds behind, hop aboard your luxury charter boat where you will be greeted with a delicious dinner prepared especially for you by your charter crew. The Northeastern coast of the United States, known simply as the East Coast or the Eastern Seabord, is reputed for its long sailing tradition. Names such as Nantucket or Cape Cod conjure up images of colonial architecture and picturesque villages. Nantucket is an island located some 40 kilometers south of Cape Cod and mainland Massachusetts. This island is the country’s historical site and attracts each year many tourists during the summer months and is easily accessible thanks to your luxury mega yacht and the many perfect mooring spots. Formed by the ultimate reach of the Laurentides Ice Sheet, Nantucket is an island of rich history, museums, small plains and is bordered on either side with magnificent beaches. Situated to the south of Massachusetts is the state of Rhode Island where the best way to capture the picturesque scenery in photos is aboard your luxury charter yacht. Block Island features beautiful rolling hills, dramatic bluffs and quaint Victorian villages. 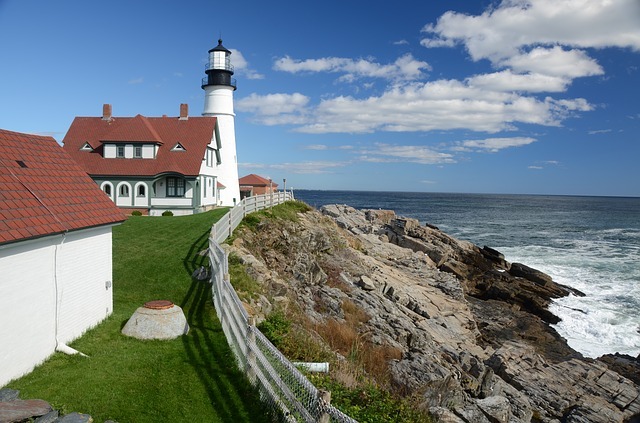 From the white sand beaches to rocky coves, the scenic coastline of Maine stretching some 5,000 miles is absolutely breathtaking. World renowned for its lobster, the state is home to world class sailing, premium shopping, award-winning restaurants, beautiful beaches, and nationally ranked golf courses. It is also famous for its historic lighthouses, with over 60 scattered along the shore, many of which continue to light the way for traveling boats and ships today. With picturesque harbors, historic seaside towns, and spectacular beaches, it is no wonder why coastal New England is rated as a top summer yachting destination.